The Supreme Council is requiring that councils establish some programs within each council and reorganizing existing programs to emphasize spiritual and charitable aspects of our order. Most of the existing programs with be placed in one of 4 activity categories Faith, Family, Community and Culture of Life. Others will be converted to initiatives grouped under a single program. Each of program activity categories will focus on different parts of our lives and faith. Faith Activities promote the spiritual nature of our faith and order. Family Activities promote family as a place where our faith begins. Community Activities promote corporal works of mercy in our community. Culture of Life activities promotes life beginning with conception and ending in natural death. The Supreme Knight is requiring that each council establish 4 programs order wide. The Spiritual Reflection Program will consist of the council creating opportunities for prayer and reflection together as a fraternal organization or supporting parish spiritual reflection or retreats. Programs need not be elaborate and could be as simple as opening meetings with the Rosary and closing with the divine mercy chaplet or as complex as hosting a weekend retreat for parishioners for a weekend. The Consecration to the Holy Family Program will consist of inviting families in the parish to pray together and offer the prayer of Consecration to the Holy Family to invoke the protection of the Holy Family. The Supreme Council the Prayer Card on the supreme web site (#10371) to place in your parish with the permission of the pastor. The Novena for Life Program consist of 9 days of prayer devoted to a culture of life in the parish and our homes. The Novena could be held at any time throughout the year but thought should be given to starting or ending the novena on a major feast day or in conjunction with a pro-life event. Prayer cards can be ordered from Supreme (#9856). o Council starts reflection and study groups using the guide printed in the book. Into the Breach should be a resource and reflection piece for all councils striving to deepen their spirituality and formation. o Support for individual seminarians and postulants. Provides financial support and emotional support and, most importantly, prayer for vocations. Participating councils receive a $100 refund for every $500 donated to an individual. The maximum is $400 per individual in one year. o For $150, councils can order the first set of books and receive a free kiosk to display the most popular CIS resources aimed at helping us to live out the Church’s mission and vision for our families. Each set contains 225 books, or 15 copies of each. o The Rosary program encourages councils to schedule rosary prayer services in their parishes and to promote devotion to the rosary in our homes and among our members. Rosary kits with rosary rings, prayer cards, and leader books are available for councils to order. o Under the guidance of their chaplain, each council plan opportunities for prayer and reflection together as a fraternity. Councils can attend a retreat or day of reflection together or perhaps organize their own event for the men of their parish. o Councils work with their pastors to organize regular holy hours of Eucharistic adoration. KofC holy hours could be particular prepared for men, complete with preaching, a communal rosary, and prayers to St. Joseph and Fr. McGivney. o The Marian icons make their pilgrimage through each jurisdiction. Councils can coordinate with their state chair to host the icon for a prayer service at their parish, spreading devotion to Our Lady. o Councils are present for the most important sacramental events in the lives of families. Through special gifts and prayers, a council can support the family at these times and build a closer relationship with the parish community. o Promoting and supporting the development of strong and vibrant families, councils establish a committee to select a “Family of the Month” each month. Recognizing families that strive to model traditional Christian family values. o Designed for councils to work with their parishes to plan a special week in celebration of family life through activities that strengthen parish community and unite Catholic family life. Programs can include a Mass, family picnic, prayer activities for the home and a service project for the community. o (Posada, Poster Contest, Creche Blessing/Tree Lighting, etc) – A collection of Knights of Columbus activities that promote the season of Advent and Christmas in their proper context, centered on the nativity of Jesus. Through a variety of activities, councils promote the “true spirit” of Christmas in our homes, schools and communities, and they evangelize society through their faithful acts and celebrations. o Councils invite families of their parish to offer the prayer of Consecration to the Holy Family through which families invoke the protection of the Holy Family. A traditional recommendation is that this take place on the feast of the Holy Family, typically the first Sunday after Christmas. o The Family Fully Alive program provides monthly themes, reflections, meditations and family projects to help each family place God and the Catholic faith at the center of its life. Used as a devotional for all families throughout the liturgical year. o Councils should lead the promotion of attendance at Good Friday liturgy and education of parish families about the importance of the collection for Christians in the Holy Land. o Opportunity for families of council members, as well as other Catholic families, to come together for prayer, dinner, and fellowship once a month. The location can rotate as needed, where the host family leads the prayer and all bring a dish to share. o Councils donate and support community food pantries, community food banks, and soup kitchens. The Supreme Council will refund $100 for every $500 donated, or for every 1,000 pounds of food that a council contributes – up to a maximum of $500 per council per fraternal year. o Free Throw Championship for boys and girls between the ages of 9 and 14. Councils can sponsor a competition by ordering a Free Throw Championship Kit, or volunteer to host/or support the district, regional and state level championships. o Designed for players to demonstrate their skills in the penalty kick, the competition is open to all children ages 9-14. Winners progress to the district, regional, state, and international levels. A Soccer Challenge kit is available for organizing councils. o Councils are encouraged to organize or participate in a program that addresses the needs of those who are homeless in their community with the intention to provide them dignity, hope and love. Activities include cooking soup kitchen meals, volunteering or operating a food pantry, and participating in mission trip as a parish. o Councils across North America can purchase new winter coats for children of low-income families at a discount and to distribute them to families in need in their local communities. Coats purchased at a cost of US$220 per case of 12 coats. o Knights of Columbus are encouraged to help prepare and participate in community response. Councils should work with their parishes and diocese to ensure a proper plan before a disaster occurs. In the aftermath of a disaster, councils coordinate with regional and state leadership for a consolidated KofC effort to bring financial and relief resources to the affected areas. o Councils are encouraged to donate at least $150 for a wheelchair. Through partnerships, councils can purchase a case of at least 100 wheelchairs for their own donation sites. o Councils asked to donate a minimum of $1,000 or 200 service hours to a Habitat for Humanity affiliate project in their community. o Councils are encouraged to participate or sponsor local, diocesan, state or national marches for life. Councils coordinate at least 100 participants or who organize a local march for life will receive credit for this featured program. o Councils identify a pro-life pregnancy care center for placement of an ultrasound. When a state or local council raises 50% of the cost of an ultrasound machine, the Supreme Council will provide the other 50% of the cost to complete funding for purchase of an ultrasound. o Working with their state Special Olympics affiliate for details on sponsoring or volunteering for events in their community. Featured program credit is awarded for at least $2,000 in donations or 200 service hours in a fraternal year. 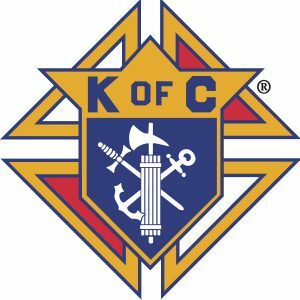 o Knights of Columbus Councils are encouraged to work with their pastor, as well as designated members of his staff, to organize an Annual Mass for people with developmental disabilities. It is an invaluable opportunity to welcome families who might not normally feel comfortable coming to a regularly scheduled Mass. Furthermore, it will assist the parish in welcoming these families to any mass. o Many pregnancy centers try to help provide women and families with the often-expensive necessities to care for a newborn child. After a Mass for Life or at any time of the year councils could promote a donation drive for diapers, wipes, clothes, furniture and other necessities, in addition to hosting a reception to raise money for their local pregnancy centers. Additionally, councils can “adopt” care centers to support as needs arise. o The protection of life is a sustained prayer intention of the Church and our Knights of Columbus councils. A council can promote 9 days of prayer for a culture of life both in the parish and in our homes. These novenas could proceed or end with major feast days or pro-life events. o Knights of Columbus are called to raise awareness of the plight of Middle East Christians through various parish-based programs and fundraisers. Funds raised are sent to our Christian Refugee Relief Fund. Of particular focus is the resettling families in the town of Karamles, Iraq. We also encourage councils to utilize the Solidarity Crosses as a fundraiser and prayer campaign in their parishes.